Cascais and Estoril, side by side and connected by a seafront promenade, are the two main resorts on the Lisbon Coast. Estoril, with its plush villas and Belle Époque casino, is the more traditional of the two, while lively Cascais still retains some of its character as a traditional fishing town. 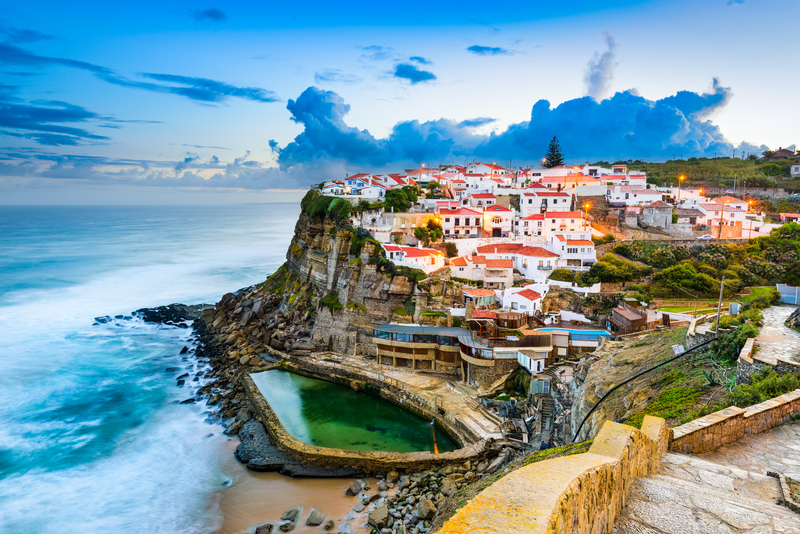 Just sixteen miles from Lisbon, this part of the coast is a great base for exploring the capital and attractions further afield such as Fatima, Tomar and Obidos. Days Two to Seven: Your hotel is in Monte Estoril between Estoril and Cascais, a 25-minute walk from the centre of either or you can take the frequent local bus. There are plenty of shops and cafes close by, as is Monte Estoril train station from where there is a regular service to Lisbon. There are three included excursions during your stay. Lisbon: Everywhere you go in Lisbon you will find evidence of the city’s historic links with the Age of Discovery from where intrepid explorers opened up the sea-trading routes to India, Brazil, China and Japan in the 15th century. Today, the city is a mix of old quarters such as the Alfama, a maze of steep cobbled streets, the wide avenues leading to the 18th century Rossio square and modern developments with fine shops. This is a half day trip by coach but you can stay on in Lisbon and take the train back to your hotel. Mafra and Obidos: Mafra’s grandiose palace-monastery was commissioned by King Joao V in 1717 to celebrate the birth of his first child and has 5000 doorways, 2500 windows, 880 rooms, 154 grand staircases, 29 courtyards and 330 monk’s cells. The two bell towers together house over 100 bells (the largest collection in the world), still played every Sunday and audible across a distance of 15 miles. In pretty little Obidos you have free time to walk the perfectly preserved walls that surround cobbled streets, whitewashed houses, and ancient terracotta roofs. Above the town is a picture-book 13th-century castle which has been converted into a pousada. 130 miles. Fatima, Batalha and Tomar: The pilgrimage site of Fatima caught the media attention in 1917 with the first appearance of Our Lady of Fatima to three shepherd children in Irene´s Cove where currently the Chapel of the Apparitions is located. The apparitions took place every 13th day from May until October. From here you continue toBatalha which owes its origin to the building of the Battle Abbey after the battle of Aljubarrota in 1385 between Portuguese and Spanish armies. In thanks to the Virgin Mary for the victory over the Castilians, Joao I ordered the construction of the Monastery which is one of the most significant buildings of the Portuguese Gothic and Manuelinestyle. The next stop is the Templar city of Tomar. The city was taken from the Moors in the middle of the 12th century and donated to theKnights Templar. In 1160 Dom Gualdim Pais, Great Master of the order, began construction of the Castle and Monastery that would come to be the headquarters of the Templars in Portugal. The stunning Convent of Christ dates from 1162 and dominates the attractive town below.During the reign of Prince Henry the Navigator, the cloisters between the Great Cloister and the fortress of the Knights Templar were built. 237 miles today. There will also be an optional excursion to Sintra. The whole town is a UNESCO World Heritage site on account of its 19th-century Romantic architecture. Upon arrival, you first visit Sintra National Palace, also known as Palacio da Vila, famous for its magnificent painted ceilings. The palace is the only survivor of the country’s Royal Halls, dating from the Middle Ages. One of the palace highlights is its kitchen complete with huge 110 feet high conical chimneys.